Chic amethyst, citrine, and peridot stones beautifully reflect the colors of a summer garden. 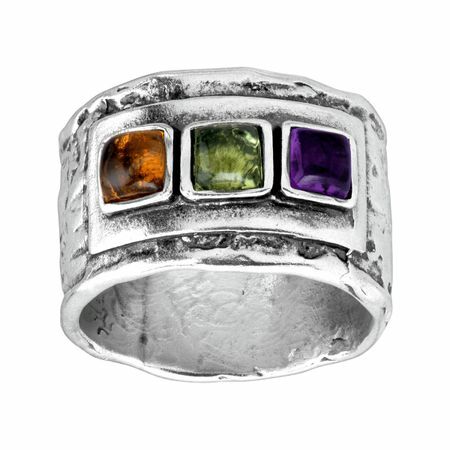 Crafted in sterling silver, this bold ring adds an easy pop of color. Ring face measures 5/8 inches in width. Piece comes with a ".925" sterling silver stamp as a symbol of guaranteed product quality.